Hey, we're 50! Episodes, that is. What better way to celebrate this momentous podcast event than with the return of something as thrilling as EGGS. 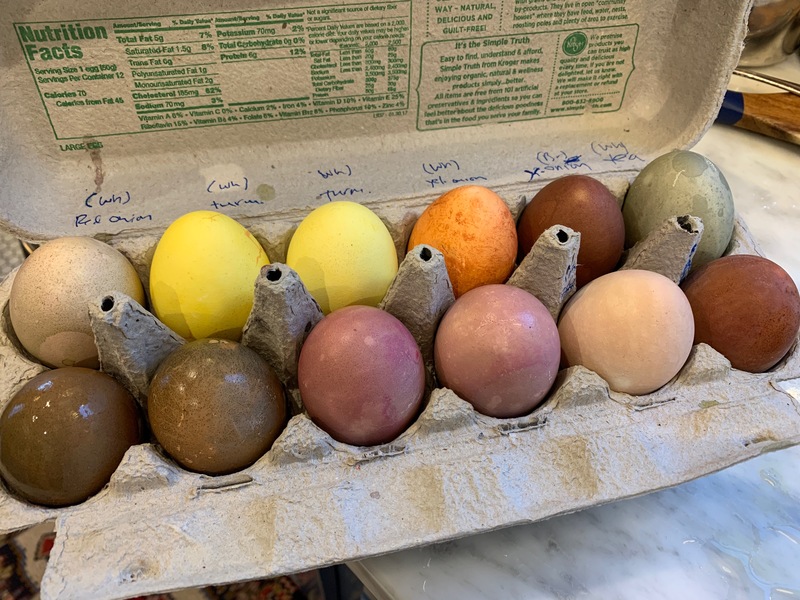 This year we dyed Easter eggs with food stuffs and came up with two new types of deviled eggs. The dying, not so hot. The deviling? EXTREMELY HOT. So hot in fact, we want you to get in on the action! If you are planning to celebrate Egg Sunday this week, invent your own deviled egg and share it with us! 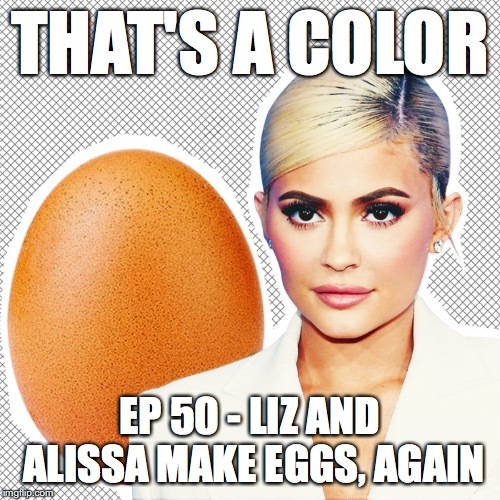 Either on Instagram (@lizandalissa) or in our Facebook group, Liz and Alissa Made Me Make It. Devil an egg and we'll send you one of our fabulous enamel pins! In a shaker full of ice, combine 1/2 cup red zinger tea (cooled), 1 egg white, 3 oz gin, the juice of half a lemon, 1 oz simple syrup. Shake until chilled and frothy, about 15 seconds. 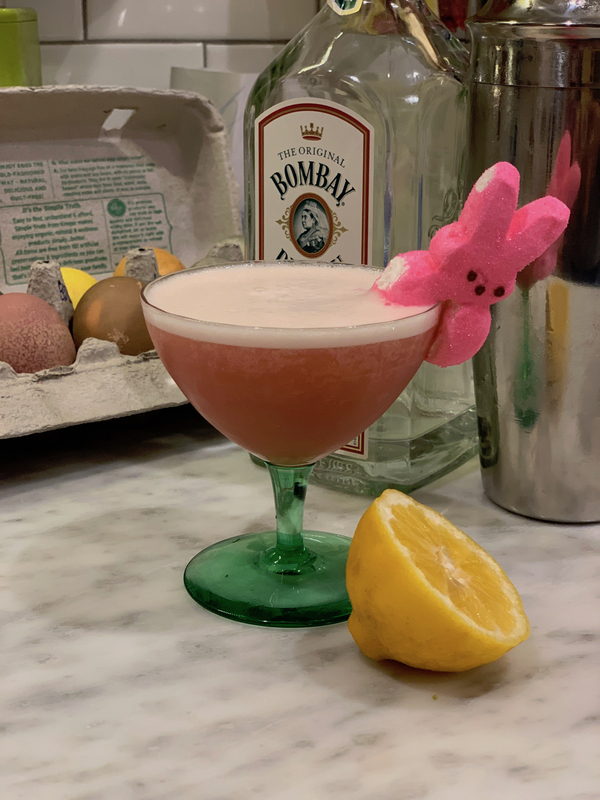 Pour into two glasses and garnish with a marshmallow Peep. Top with bits of crispy bacon.